It is the final day of Craft Lightning and I have a really fun craft for you today. 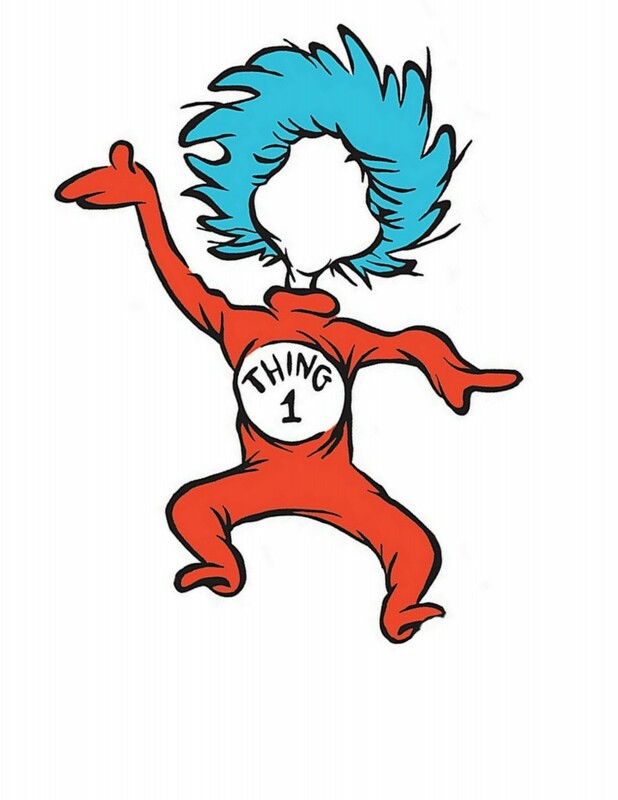 You can make yourself into thing 1 or 2 quickly and easily. Before we get to that, be sure to catch up with all of the Dr. Seuss fun on day 1, day 2, day 3, and day 4. 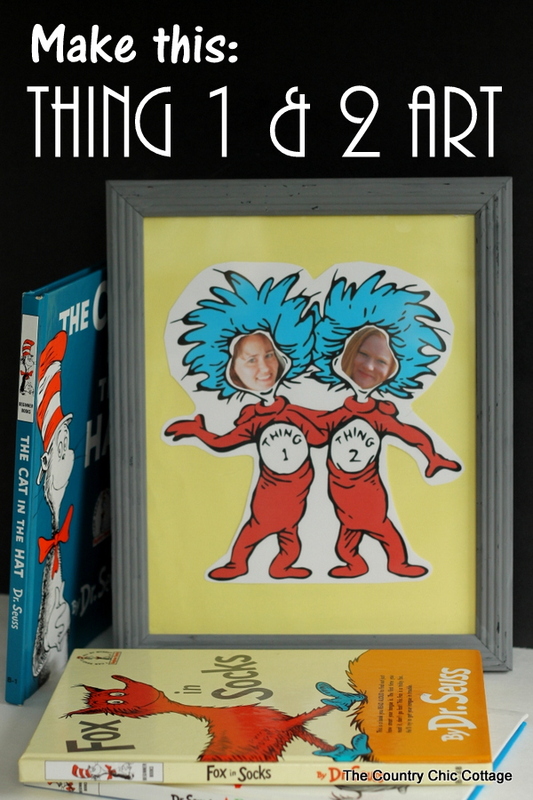 Also you can follow our Dr. Seuss Pinterest board for all of the crafts and more! Also don’t miss the Seuss crafts from today at the bottom of this post. Now lets make some Dr. Seuss art! 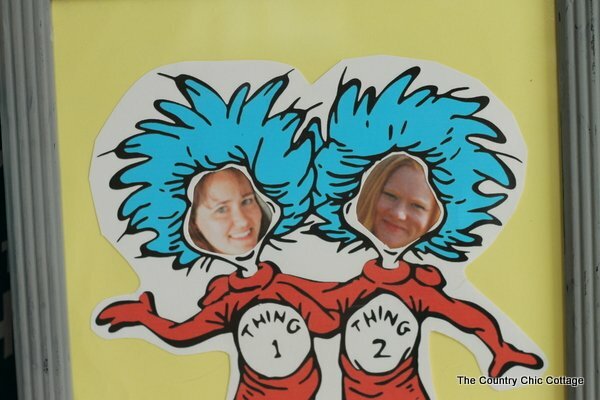 You will need my printable thing 1 and 2 images. Click on one of the links below to head over and download those. Next watch the short video below as I show you how to make this quick and easy craft. So simple right! I used my own picture along with my blog pal Carolina from 30 Minute Crafts. You can use your friends, kids, parents, or anyone else! 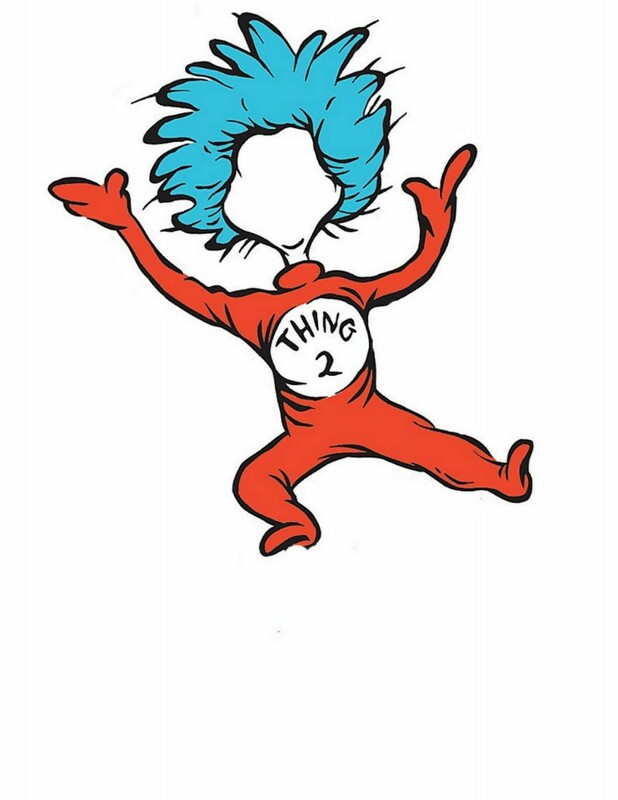 Everyone wants to be Thing 1 and Thing 2! The paper cutout I made is just mounted to some yellow card stock and put into a painted frame. This is so simple that really anyone can do it. 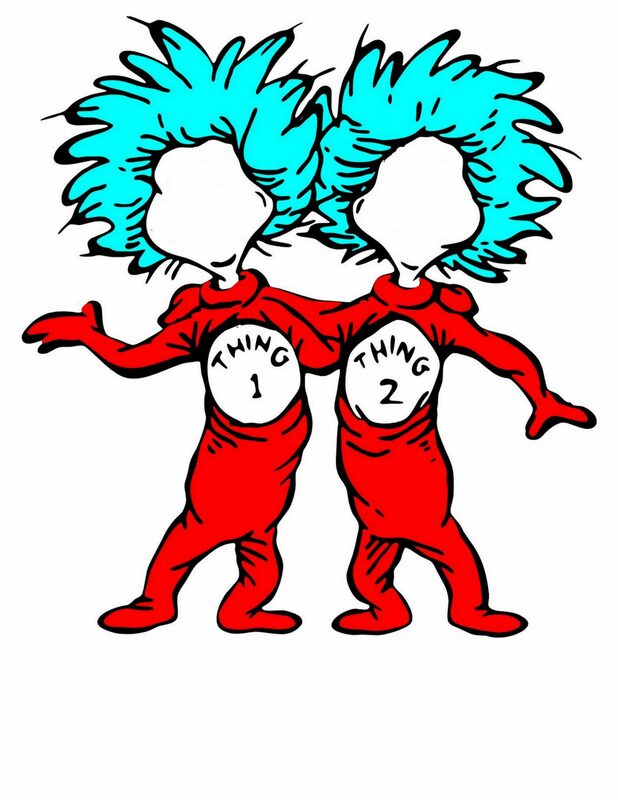 Grab your free printable images above and make your own thing 1 and thing 2 art for your home or your child’s room. They will love you for it! I promised y’all even more great Seuss crafts. 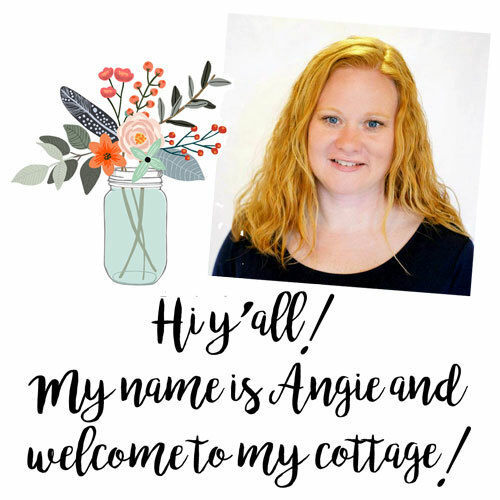 Check out our features below. First up is some adorable hoop art from Hey Let’s Make Stuff. I love hoop art and these are just adorable. 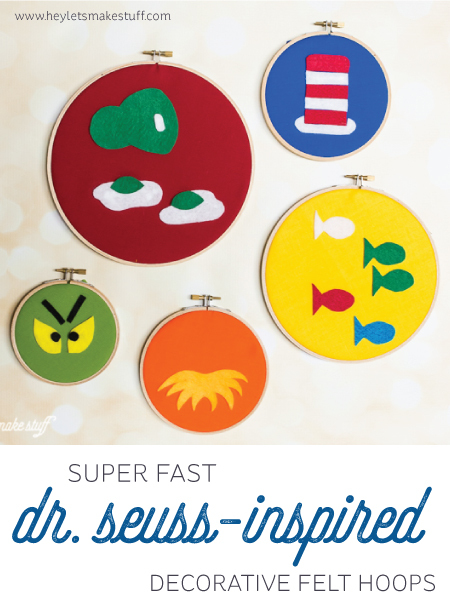 If you have a Seuss themed room, these are a must make! Next up is 30 Minute Crafts with a Seuss inspired bracelet. So cute and y’all it is so easy to make! Did you know that craft foam when wet will stick to your bathtub walls? Me either!! 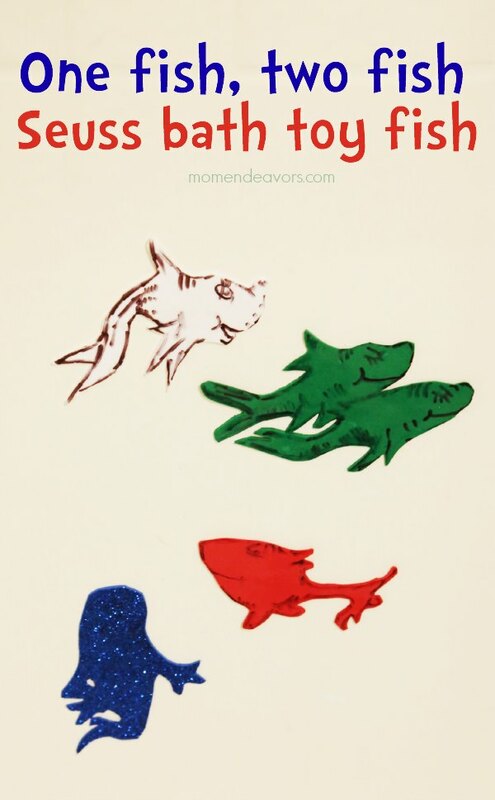 Let Mom Endeavors show you how it works with these Seuss inspired bath toys. 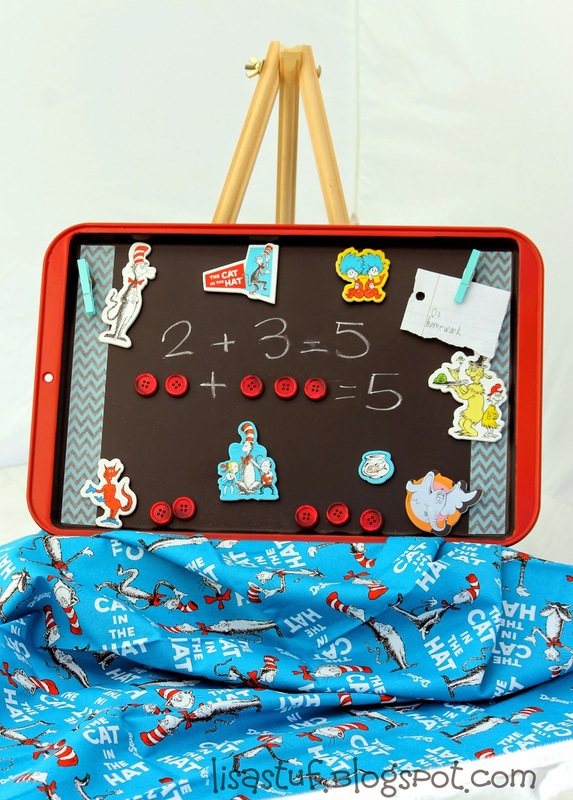 Next is a fun magnetic Seuss inspired activity board from Stuff n Such by Lisa. This is perfect for children of all ages! Recycle a can into a pick a book activity for kids with this post from It Happens in a Blink. Kids can pick the book they want to read each night! 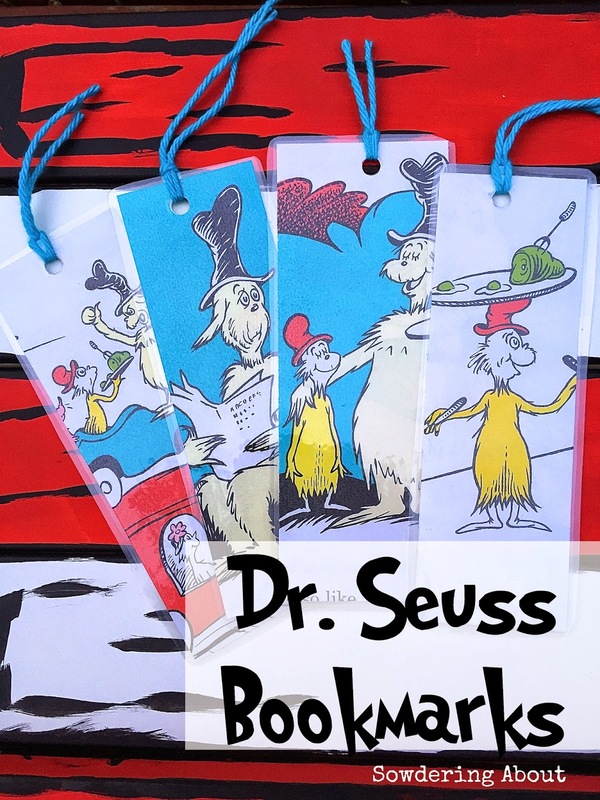 Grab a old Dr. Seuss book and whip up some Seuss themed bookmarks with this tutorial from Sowdering About. 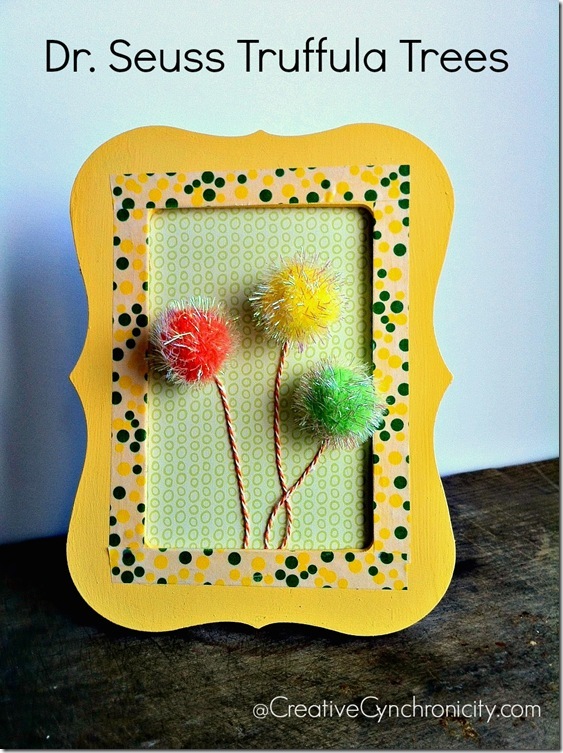 Finally, Creative Cynchronicity shares these framed Seuss truffula trees. 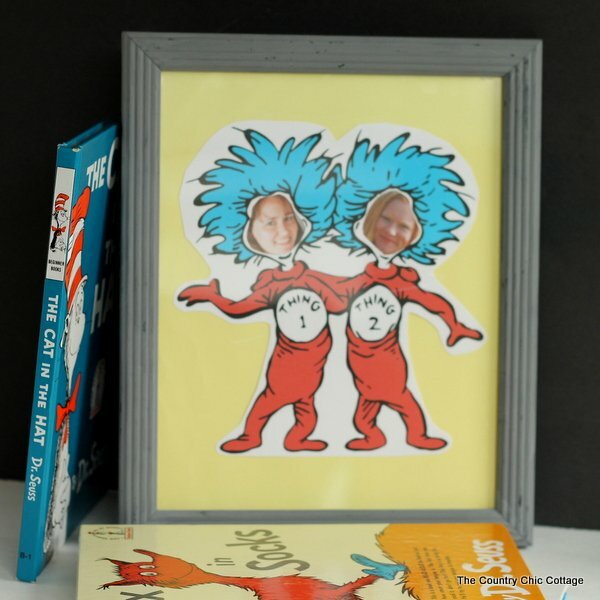 This frame is cute enough for any room but is a must for a Seuss themed one! Our Craft Lightning series on Dr. Seuss has come to a close. However, I will be rounding up all of the quick and easy crafts this weekend so y’all stay tuned! 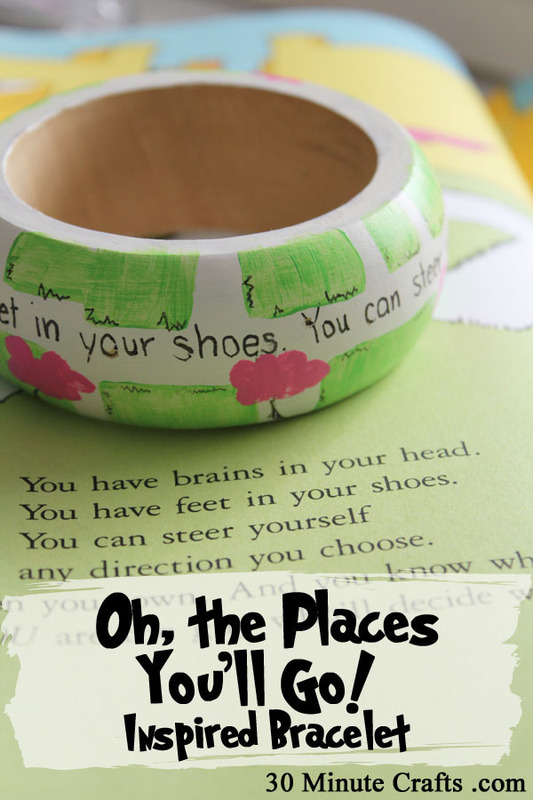 One epic post with tons of Seuss inspiration! 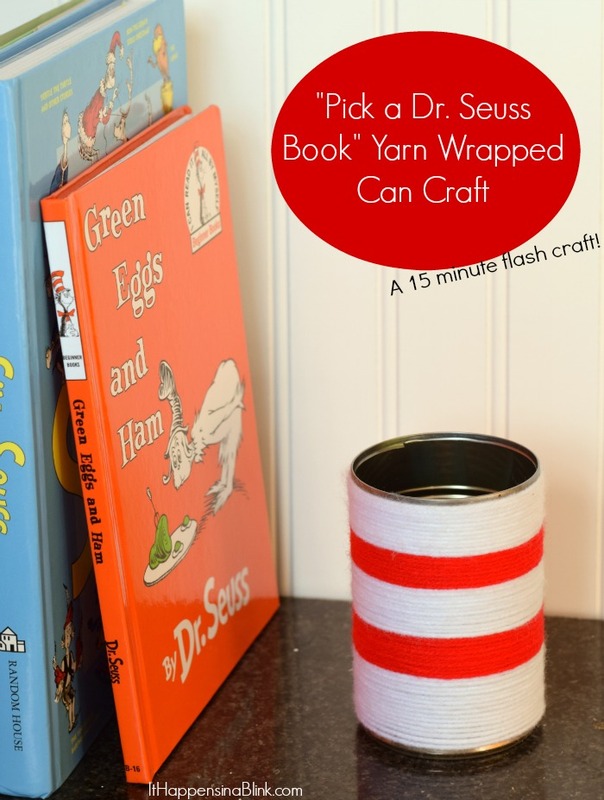 next post: 40+ Seuss Crafts in 15 Minutes or less! I can’t get the thing 1 and 2 to come up so that I can print it. It is working fine for me. You might have to do it on a computer if you are trying on your phone.